Hanoi (VNA) – The Prime Minister has signed decisions to apply disciplinary measures on four former leaders of the Ministry of Natural Resources and Environment (MoNRE) and the central province of Ha Tinh, whose violations are linked to the serious environmental incident caused by Formosa Ha Tinh in the four central localities. In Decision 1199/QD-TTg, Nguyen Minh Quang, former MoNRE Minister in the 2011-2016 period, received warnings. Meanwhile, Nguyen Thai Lai and Bui Cach Tuyen are no longer former MoNRE Deputy Ministers for the 2011-2015 tenure under Decision 1201/QD-TTg and Decision 1202/QD-TTg. 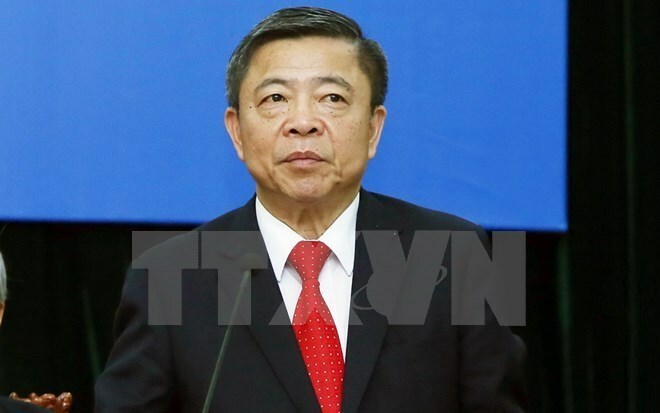 Under Decision 1200/QD-TTg, the PM decided to strip Vo Kim Cu off the position of former Vice Chairman of the People’s Committee of Ha Tinh province in the 2005-2010 tenure and former Chairman of the Ha Tinh People’s Committee in the 2010-2015 tenure. The mass fish deaths were first reported on April 6, 2016 when a large number of fish washed ashore in Ha Tinh province. The incident also occurred in Quang Binh, Quang Tri and Thua Thien-Hue. About 70 tonnes of dead fish were found in the four provinces and Thua Thien-Hue alone reported 35 tonnes of farm-raised fish had died. The pollution also affected more than 260,000 people who earned their living from the sea. Wastewater discharged from Formosa polluted more than 200 kilometres of coastline, devastating the marine environment and local economies of those provinces, which largely rely on fishing and tourism.